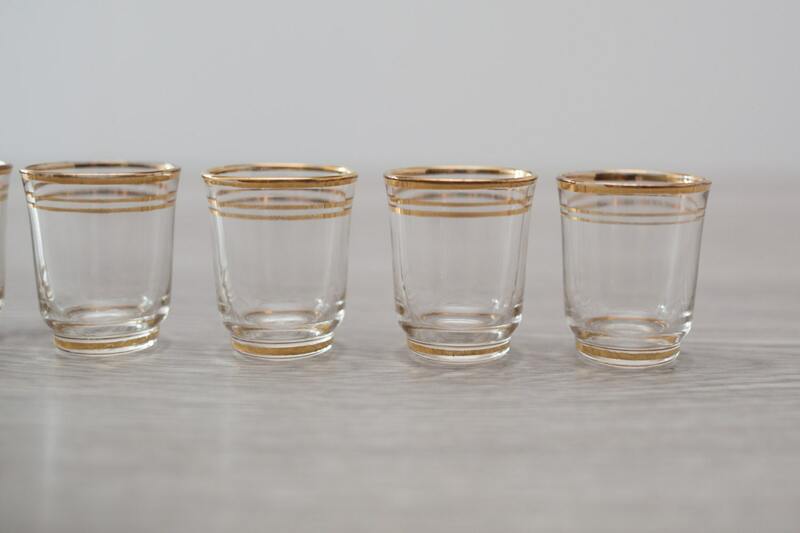 These are great looking mid century modern shot glasses with gold bands. Perfect for sipping your favourite liquors. 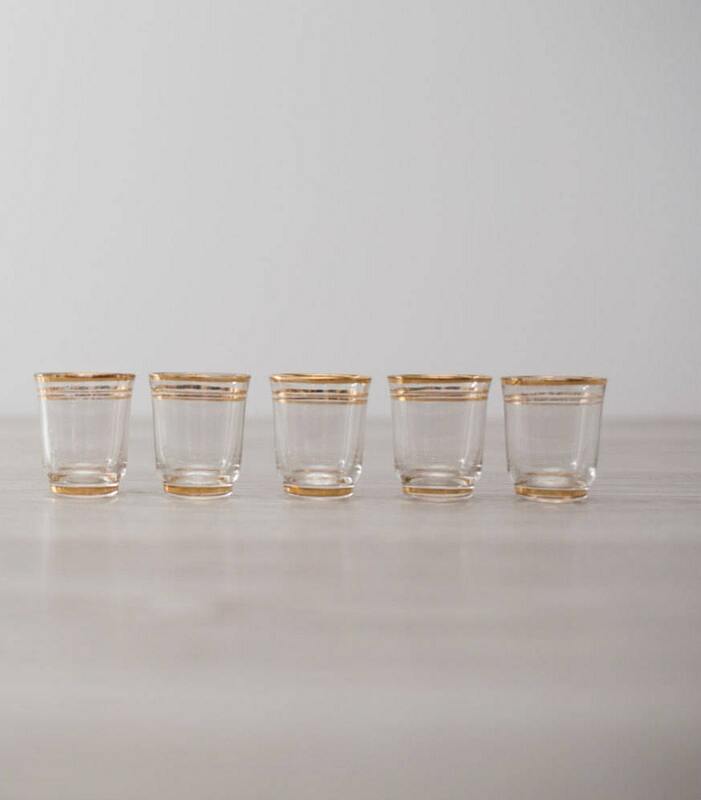 The price is for 5 shot glasses.